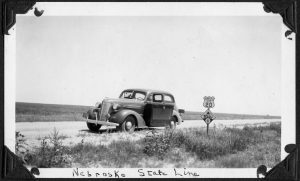 May 25 day 24 – It wouldn’t seem right to have a US cross-county road-trip without mentioning Highway 66. 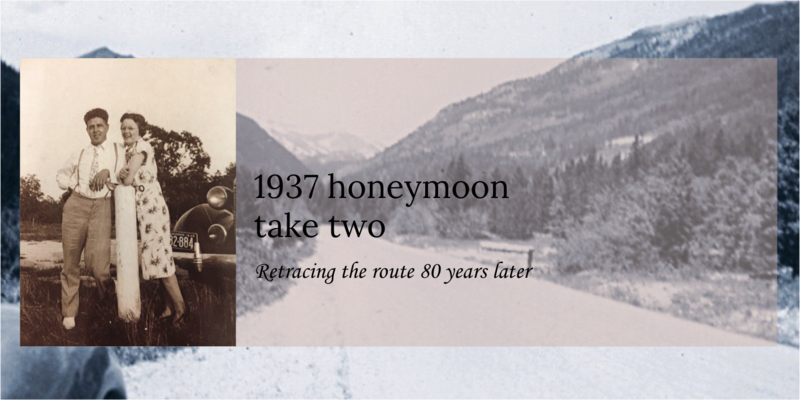 Checking our 1930’s road maps the most direct route from Boulder Dam to Los Angeles would have taken the couple to Barstow, California to San Bernardino and into LA on the now infamous Highway 66! We followed that same route staying overnight in Barstow and making a fast dash into LA. 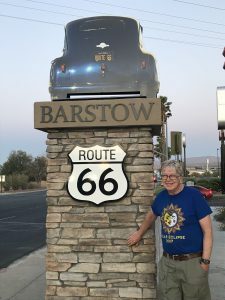 Barstow celebrates its historic connection to Highway 66 with a series of signs of various cars that traveled the route during its heyday. We found one sign that resembled a 1937 Chevy. Only a few physical traces of roadside commercial building serving this driving public remain in Barstow though.